HANDSHAKE (HS) is a progressive mentoring and exhibition programme, spaced over three years and includes a website and a book. HS involves twelve emerging jewellery artists from New Zealand, developing each time new work for a series of exhibitions alongside specially matched mentors, who are all high-calibre artists of international renown. Beginning in 2011, HS kicked off with a series of mentor consultations through new media like Skype, as well as email and studio visits, and was followed by several exhibitions in Australia, New Zealand and Germany. The twelve emerging jewellers were asked to select their hero artist, someone who would be the best mentor for each individual’s art practice. The organiser, Peter Deckers, then approached these selected mentors forming a symbiotic relationship between the mentor and mentee through an agreed number of feedback sessions. This process supported their development and making, assisted with the editing of the work and built a relationship towards a collaboration for the Objectspace exhibition in June 2013. 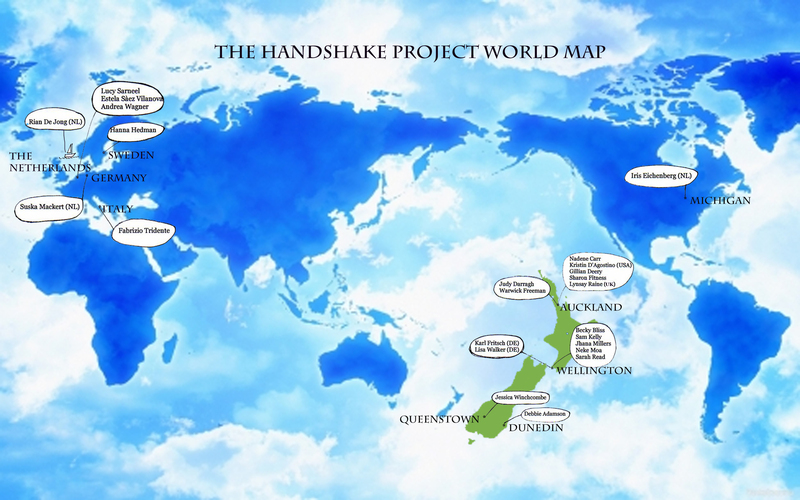 One significant criteria for the mentee-Handshaker is to record their experiences via their official Handshake blog (check their frequently updated pages on the right). Their blog pages show the mentees’ work in progress with its analysis, edits, their discussions, frustrations, discoveries and influences. The final of Handshake exhibitions happens at Objectspace, Auckland, till 20 July 2013 and concludes the three year project. This exhibition will be the crown of the HS exhibitions, where the mentee collaborate with their mentor partner in unique and innovative ways. In the final phase of the HANDSHAKE project each mentee has been given the opportunity to select a new recent graduate, who they will support for of a year, converging on the ever increasing circle of learning and contributing to the dynamic flow of shared experiences. More information regarding this see interview with the organiser, one mentee and one mentor participant. 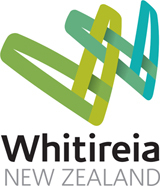 Creative New Zealand and Whitireia NZ has generously supported the HANDSHAKE project throughout three exiting years. The HANDSHAKE project is the brainchild of educator/maker/curator Peter Deckers. The idea was born of recognition of the need for ongoing support for talented NZ graduates after completion of their jewellery/art study. The HS structure allows access to a professional level of support, is an introduction to a wider network and offers sound business advice. Through their individual blog pages, the mentees present the fabric of their ideas, demonstrate the processes of their research, design and making, self reflections, their search for deep philosophical connections, explored possibilities, and edits of the solutions. It also includes why mentees choose their mentor, records their conversations, advice, extracts from mentor publications, press reviews and interviews, all making for very rich reading. Read more: about the background of the creator, the social situations and change in where contemporary jewellery is played out in, how knowledge transfer manifests into new art forms and how the HANDSHAKE project has progressed: Interactive Partners – peter deckers (PDF includes images)this paper was presented at the JMGA conference in Brisbane (Participation and Exchange in July 2013) . With Handshake, Peter Deckers has created a vehicle for contemporary apprenticeship that can transport mentee and mentor alike, in any discipline, along the road of creative success. The exponential increase from the initial act of giving is an incredible vision of sharing. A handshake becomes ‘hands clasped around the world’. 1 Thessalonians 5:11, Luke 6:38.